I thought the world this author created in this book was amazing! 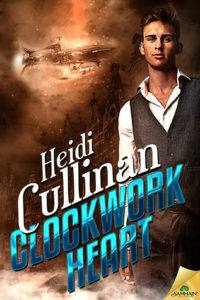 I have to say I love steampunk and the way this author wrote this story was awesome and I could not put this book down! The way the world is described in this story with so much detail makes you feel like you are actually there with these characters in this world. Now I loved these two MC’s together. I loved Johann’s character and the way he interacted with Cornelius character. There was some action in this book along with steam which was so sweet and hot! All together I really loved this book and would recommend it!